Watergate Pointe Marina - Coastal Properties, Inc. 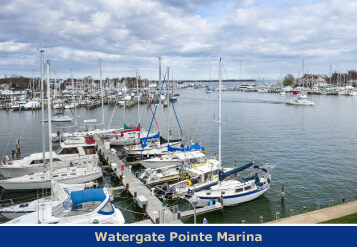 Located in the heart of the charming Eastport neighborhood of Annapolis, Maryland, the marina at Watergate Pointe offers outstanding amenities and direct access to the Chesapeake Bay, all in the protected waters of Back Creek. Close and convenient to many restaurants and downtown Annapolis by water-taxi which picks up and drops off directly from the Watergate Pointe Marina docks. Offering the most competitively priced slips in the area, Watergate Pointe features many amenities and conveniences. For an additional fee, a two-bedroom, fully furnished and well-appointed apartment with washer/dryer for daily or longer rentals is available. Fuel and boat repairs are close by on Back Creek. 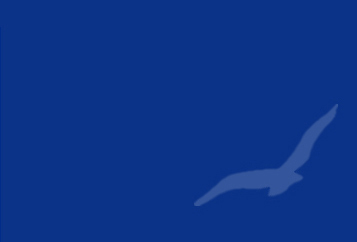 Slips and T-heads are available for boats up to 60' on a Seasonal, Annual and Transient basis. Amenities and features include: Picnic and BBQ areas; Outdoor Kitchen for Dining and Entertainment; Beautiful Olympic Size Pool with Sun Deck; Fitness Room; Annapolis Water-Taxi pick up at marina docks; Water and Shore power (30 amp) included; Kayak/Canoe racks; Two-bedroom, fully furnished apartment available for short or long term lease.